President and CEO, HenderWorks, Inc.
Effenus Henderson is President and CEO of HenderWorks, Inc. (www.henderworks.com) and Co-Founder of Institute for Sustainable Diversity and Inclusion (www.i4sdi.org ). He served as Chief Diversity Officer for Weyerhaeuser Company, Federal Way, Washington until his retirement in December 2013. In this role he advised the CEO and senior management team on diversity, inclusion and affirmative action related matters. He has over 40 years of experience in a variety of human resources roles and responsibilities. He is an internationally recognized diversity thought leader and has been invited by numerous companies and organizations to share his expertise. He has provided advisory support on diversity to the US Federal Government?s EPA office, Office of Personnel Management, US Forest Service, State Department and the USDA. His background includes development of diversity and inclusion change agendas, formation and oversight of employee resource groups, and training and skill building workshops. He has addressed members of the General Assembly of the United Nations on intercultural and interreligious diversity, and also addressed a high level panel of the Alliance of Civilizations in Madrid, Spain in 2008, Istanbul Turkey in 2009, Rio de Janeiro, Brazil in 2010 and Doha, Qatar in 2011. He also participated in a high level dialogue sponsored by the High Commissioner on Human Rights in preparation for the 60th Anniversary Celebration of the Universal Declaration of human rights. He was part of a special panel on diversity at the VII Annual Inter-American Conference on Corporate Social Responsibility held in Punta del Este, Uruguay in December 2009. He has advised members of the United Nation?s Alliance of Civilization and Global Compact offices on emerging issues. Additionally, he has advised leaders of Club de Madrid?s Shared Societies Project (Madrid, Spain) on cross-cultural inclusion. He was a keynote speaker at the 9th and 10th Forum at Fez Morocco (2012, 2013) and at the 2nd World Forum on Intercultural Dialogue held in Baku, Azerbaijan (2013). He currently serves as a member of the Advisory Board of the Global Dialogue Foundation, located in Melbourne, Australia. He was named one of the top diversity officers in corporate America by Diversity Best Practices / Working Mother Media and received its first Diversity Officer Leadership Award in 2007. He was among the finalists for the second annual global ORC Peter C. Robertson Award for Equality and Diversity Champions. He was one of 100 Global Diversity Thought Leaders invited by the president of the Society of Human Resource Management to a special forum in April 2008 to provide a perspective on the future of global diversity and inclusion. He was named to Savoy magazine?s 2010 list of the Top 100 Most Influential Blacks in Corporate America. He was the 2010 recipient of the National Urban League?s Collins Award for distinctive service and commitment awarded at the National Urban League?s Whitney M. Young, Jr. Awards Gala in Washington, DC in July 2010. In May of 2011, he was named by Black Enterprise Magazine as one of the ?Top Executives in Diversity? for his outstanding business achievements. The World HRD Congress in Mumbai, India honored him for ?Outstanding Leadership in Human Resource Management? in 2014. He currently serves as Chair of the Diversity and Inclusion Standards Project sponsored by the Society of Human Resources which will lead to national standards, approved by American National Standards Institute (ANSI) in the areas of lead diversity professional competencies, diversity programs, and diversity metrics. Additionally, he is a member of the United States Technical Committee 260 (human resource standards) for the International Organization for Standardization (ISO) and was named convener for the development of global diversity and inclusion standards at the organization?s Singapore Plenary meeting in September 2016. 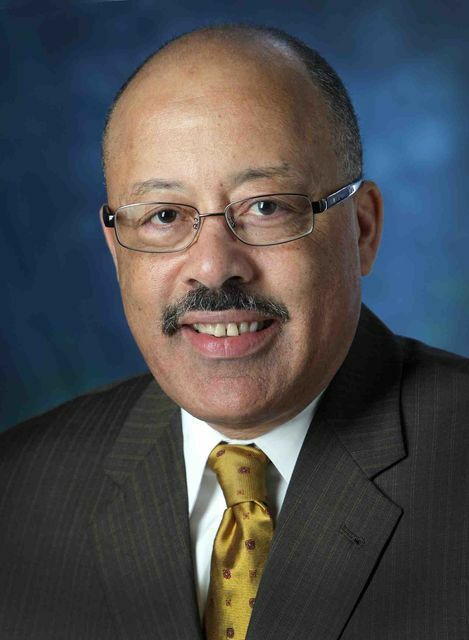 He has served on numerous boards including the International Society of Diversity and Inclusion Professionals (ISDIP) where he is a member of the founding board, the National Urban League Board where he has served as a national trustee and president of the Council of Affiliate Board Members. He is also a past chair of the Attrition Retention Consortium, a national group studying turnover trends in Corporate America. He is also former member of the Board of Advisors, School Business, Florida A&M University. He is a graduate of North Carolina Central University and the Stanford University Executive Program. He is married to Helen Skinner Henderson and is the father of three sons ? Kevin, Justin and Marcus. He is also certified by SHRM as a ?Senior Professional in Human Resources. ?